PRESS RELEASE: CoSchedule Emerges As Top-Tier Enterprise Solution With Inclusion On Gartner Magic Quadrant For Content Marketing Platforms. FARGO, April 3, 2019 — CoSchedule, the only marketing suite that helps you organize all of your marketing in one place, announced today it has been included in Gartner’s “Magic Quadrant for Content Marketing Platforms 2019”. A family of agile marketing products, CoSchedule helps marketers stay focused, deliver projects on time, and keep their entire marketing team happy. Already named as one of the top 15 leading software providers on the Inc. 5000 list, this makes CoSchedule the fastest growing solution for mid-market and enterprise companies seeking a unified marketing platform. According to the Gartner “Magic Quadrant for Content Marketing Platforms 2019 Report”, CoSchedule differentiates itself by featuring a robust and fully customizable workflow that makes it the only content marketing solution best suited to facilitate an end-to-end agile marketing process. Built to support both content marketing planning and execution, the report also suggests CoSchedule’s intuitive user experience and straight-forward implementation across the entire organization enables not only efficient adoption but also a swift return on investment. Trusted by global brands like Microsoft, Yamaha, and Expedia, CoSchedule is used by the world’s best marketing teams to organize their work, content marketing, social media, and assets. To see how CoSchedule can be mission control for your marketing team, schedule a demo with a sales professional today. Read more about the Magic Quadrant and CoSchedule’s position on the CoSchedule blog. 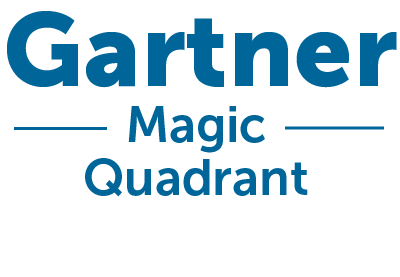 Request to view the 2019 Gartner Magic Quadrant for Content Marketing Platforms report. Learn more about CoSchedule’s Content Marketing Platform.